German Russian translator. Searching for a professional German Russian language service provider is tricky. If you hire a translation company or agency, you will have to pay them big bucks. On the other hand, you can source freelancers who offer services at cheap rates, but the quality might not be great. So how exactly can you strike the right balance and find the professional German to Russian translator who can produce high-quality translation services and suit your needs? By the time you reach the end of this post, you’ll have a clear answer to this burning question. Word of Mouth and Referrals – a classic case of asking for recommendation or advice. 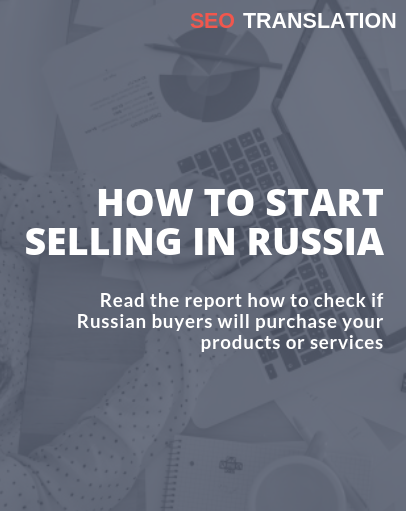 You can ask your friends, relatives, colleagues or even competitors if they can recommend you the best sources where you can translate German to Russian. Google – of course, you might know, it is the largest and most popularly used search engine. You should enter into the search box the keywords “German Russian translator”. You can also refine your search by adding additional keywords, e.g. “certificate” or “Berlin”, etc. Proz.com – the biggest freelance translators platform. You can just post a message that you are looking for a German Russian translation service provider, indicate the number of words and deadline, as well as the field of expertise, and within minutes you will get a lot of quotes. TranslatorsCafé.com – directory of translators, interpreters and translation agencies. You have to register on this directory and then publish a post on the Job Board, e.g. “Who can translate German to Russian?” It’s very important to state that you are looking for a German to Russian translator and what language services you need. American Translators Association – professional association founded to advance the translation and interpreting professions. On their website you can find a database of translators registered in the association. You can choose a Russian translator and start the search. Upwork – a global freelancing platform where you’ll find a range of top talent, from software developers to designers, writers and more. You can invite German Russian translators to submit bids, then review and hire the best German Russian translator. Fiverr – another global online marketplace offering tasks and services, beginning at a cost of $5 per job. You can find the German Russian translation service providers you need by browsing the catalog in different categories or by using the search to find the translator. Facebook – a popular free social networking website. Every translator registers a business page there to promote translation services online. What you have to do is put the keywords “German to Russian translator” and then filter the results by choosing “Page”. Linkedin – a social network for professionals, designed specifically for the business community. You can search for a German to Russian translator by indicated the keywords. Afterward, you can refine the search by different criteria: by location, profile language, etc.